If you're looking to plan a trip to Disneyland for Mickey's Halloween Party or for the 2016 Holiday Season, staying at one of the Disney hotels has its perks and advantages. Room rates tend to run high for the Disney hotels when compared to other area hotels, but the location, convenience and amenities offered cannot be overlooked. We recently stayed at one of the Disney hotels for the first time earlier this year and have a feeling we'll be back here for our next trip. Read more for my review of Disney's Grand Californian Hotel and Spa and the reasoning on why you should consider this hotel for your next trip to Disneyland. Disney's Grand Californian Hotel and Spa is Disneyland Resort's newest hotel, first added as part of a major expansion back in 2001 and a subsequent expansion in 2009. It is the flagship and most luxurious hotel at Disneyland in Anaheim, California. The hotel is very large, with 1019 rooms, and is styled on the Arts and Craft Movement of the early 20th century, showcasing an architectural style from Northern California reflective of the style of hotels you'd typically find near Lake Tahoe or Yosemite. 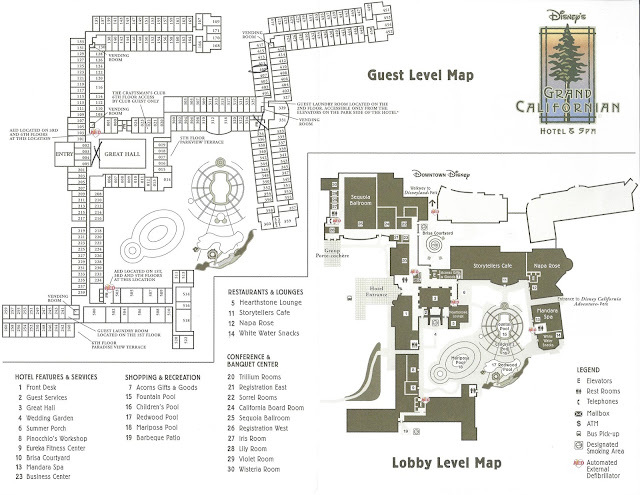 The hotel is also a part of the Disney Vacation Club, with a separate area of the hotel that opened in 2009, and is reserved for members who can book their points into The Villa's at Disney's Grand Californian Hotel, which is comprised of studios, 1 bedroom units and 2/3 bedroom units featuring kitchens and living/dining areas. For our recent stay here, we booked a Standard Courtyard view room in the hotel. Since we would be spending most of our day in the theme parks, I didn't see the point of paying more for a room with a better view. One of the first things you'll notice is the lack of Disney branding in the room and more of a rustic lodge type of decor going back to the overall Craftsman decor and styling of this hotel. 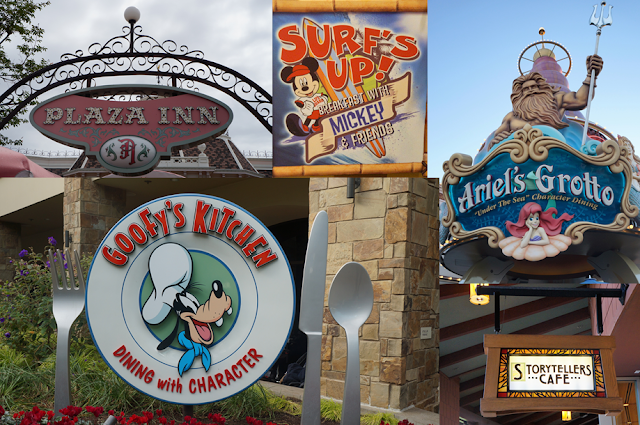 If you're looking for Mickey Mouse and more Disney branding, the Paradise Pier Hotel or Disneyland Hotel may be better suited for you. Those two are also always cheaper than the Grand Californian. 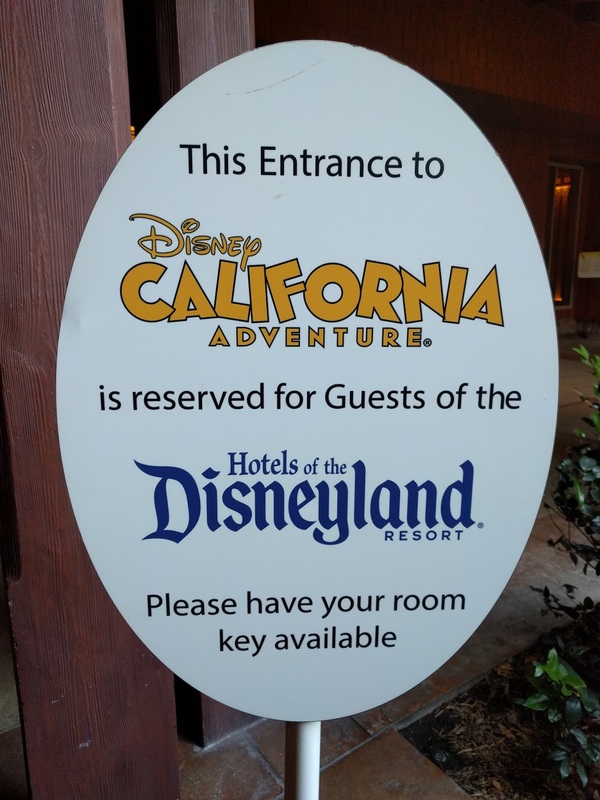 One of the unique things about this hotel is that it is the only Disney property built into a theme park (Disney California Adventure Park), with a special entrance reserved for guests staying at one of the three Disneyland hotels. This entrance into Disney California Adventure Park is located at the Grizzly Peak area and entry is open to guests of the Resort hotels from theme park opening time until 11:00 AM. After 11:00 AM, the entrance is open to all Guests. Another great perk of staying here is guests are eligible for an Extra Magic Hour, which allows Disneyland Hotel guests to enter the park one hour prior to regular park opening. The availability of the Extra Magic Hour and offered attractions is subject to change, but this benefit is huge in my opinion. 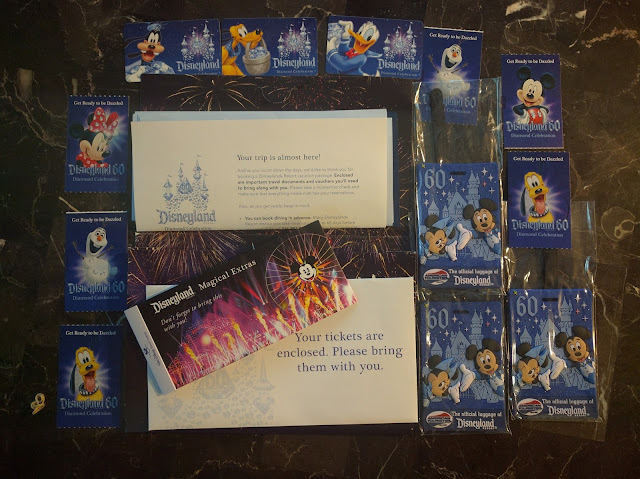 On our recent trip, this perk allowed us to ride Toy Story Mania twice, get fastpasses for World of Color and the Radiator Springs Racers Ride before the park even opened to everyone else. 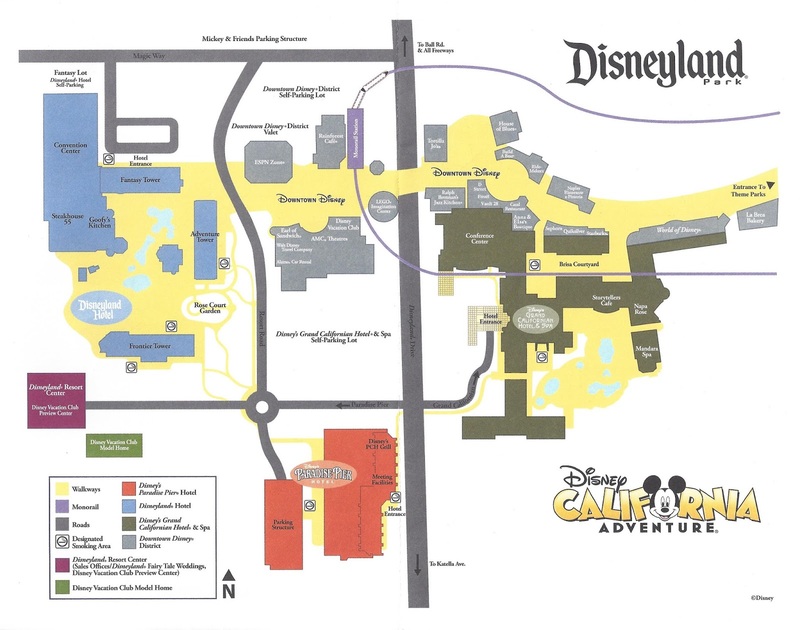 One thing to note is that the Extra Magic Hour line from the Private Entrance into the park will be long, so try to get there a little earlier before the Extra Magic Hour starts. The Grand Californian is expensive, but the location of it and convenience cannot be overlooked, as this hotel has the best location of any hotel in and around Disneyland. We were able to get in the park very fast with minimal lines and wait times. We were also able to head back to our hotel room everyday for our toddler's nap time and then be back in the park in minutes. For previous visits we've stayed at other area hotels, such as the Hyatt Regency Orange County and Hyatt Place Anaheim, and while they are nice hotels (and typically cheaper), the time it took to get to the hotel shuttle or parking garage from the theme parks with young children was burdensome at times and tough on tired legs after a whole day spent in the parks. Of the three Disneyland hotels, which include the Disneyland Hotel, Paradise Pier Hotel and Disney's Grand Californian Hotel & Spa, the Grand Californian has the best location into the theme parks. The Redwood Pool is the hotel's feature pool which offers deck lounge chairs, poolside service, and activities. There is also a 100-foot water slide styled around the stump of a giant fallen redwood tree. There are also two whirlpools available and a children's pool. The Mariposa Pool was added along with the hotel expansion in 2009 and features a round design and includes four private cabanas and a hot tub. For an extra fee, children 5 to 12 years of age can enjoy themselves at Pinocchio’s Workshop featuring activities and games located to the right of the front lobby. Supervision is provided by licensed care providers. A full-service, 4,000 square foot, fully equipped workout facility and spa with massage service and saunas. The spa includes 8 treatment rooms, men’s sauna and steam room, women’s sauna and steam room, full-service nail pavilion, tea pavilion and other spa services. Disney’s Grand Californian Hotel & Spa is also conveniently located near numerous dining options at the other hotels of the Disneyland Resort area and in the Downtown Disney District that you can experience without a theme park ticket. There are also lots of other options within the theme parks themselves. 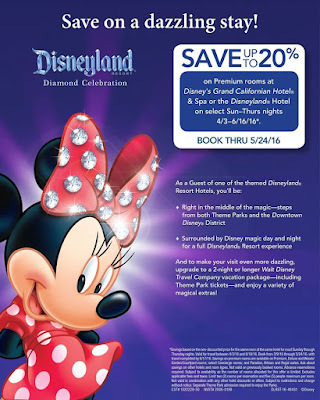 For our most recent visit to Disneyland, back in April of this year, we were able to book a Disneyland Vacation Package, during one of the many year-round promotions and sales Disneyland has for their hotel properties. This promotion was the "Spring Escape Offer" and offered up to 20% off typical room rates. 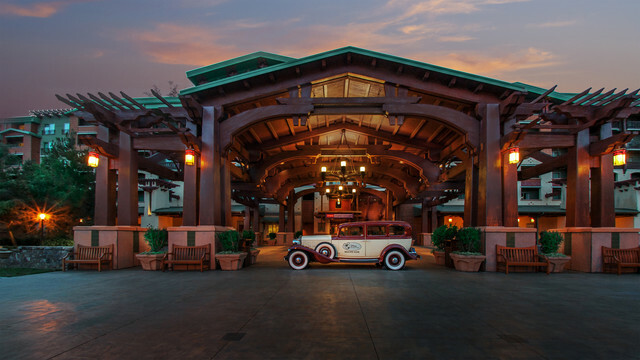 Next time we visit Disneyland, I can't see why we would want to stay anywhere else than the Grand Californian Hotel, though we do want to check out the other Disney hotels including Paradise Pier and the Disneyland Hotel. If room rates are high or if you prefer other hotels, there are plenty of other options around Disneyland, including the Hyatt Regency Orange County, which we have stayed at a couple of times previously. Also, be sure to check out my Top Four Tips to Maximize Your Next Disneyland Trip. If you're interested in learning more about current promotions that are available or booking a Disneyland Vacation Package for your next family trip, start here.